With the blazing-fast Intel® x5-Z8550 processor, the Panasonic Toughpad® FZ-A2 10.1-inch fully rugged Android™ tablet is miles ahead of consumer tablets. Equipped with reliable connectivity, an incredibly bright 800 NIT screen, and a 9 hour battery life, the Toughbook A2 delivers reliably in every environment your business can throw at you. 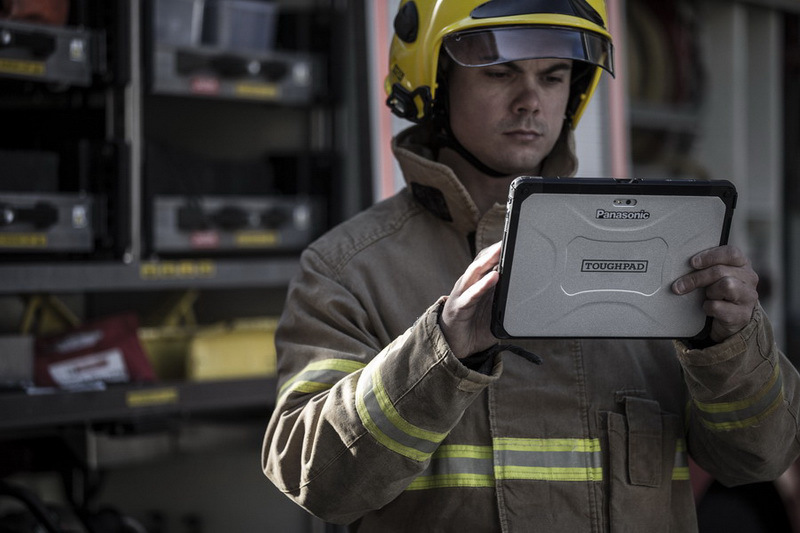 The FZ-A2 tablet is designed for the highly mobile field worker or a service industry professional – be that a government or private sector user who needs a device that is more rugged than a consumer-grade tablet with capabilities and connectivity options well beyond an off-the-shelf tablet. This new powerful tablet offers the ideal level of ruggedness for field work, but is still light and sleek for customer facing usage. The FZ-A2 has a sunlight readable display (800 NITs) and has been tested to a five foot drop specification, is MIL-STD-810G certified and offers options for 4G LTE WWAN communication, Smart Card Reader, 2D barcode reader or an additional USB A port to meet the needs of today's connected business user. The FZ-A2 has ruggedness and robust capabilities yet only weighs a little under 2 pounds! It boasts a sleek exterior, a user changeable and hot-swappable battery and all day use with its nine-hour battery life rating. As an enterprise-grade tablet, the FZ-A2 is designed with a complimentary selection of accessories to make your Toughpad A2 productive for the customer service, field and supply chain environments. There is a lightweight desktop dock/charger, a 4-bay battery charger, a variety of carry options/hand straps, several options for vehicle docks and power supplies for in-cab and lift truck usage and certification by enterprise class mobile device management software vendors.